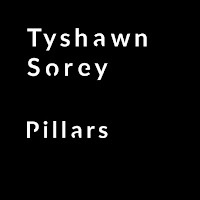 Tyshawn Sorey returned to Firehouse 12 Records for his latest, Pillars, which seems an appropriate reunion given the scale. Sorey’s debut, that/not, was a “this is who I am” artistic statement that still resonates. For Pillars, Sorey assembled a mighty octet, with Stephen Haynes on trumpet, flugelhorn, cornet, alto horn, and small percussion; Ben Gerstein on trombone and melodica; Todd Neufeld and Joe Morris on guitar; and Morris, Carl Testa, Mark Helias, and Zach Rowden all on double bass. Sorey adds drum set, percussion, trombone, and dungchen, a horn used predominantly by Tibetan Buddhists (though the sound is markedly different, I was reminded of the Jewish shofar, the blowing of which is both sacred and symbolic). The music displays all the hallmarks of Sorey’s composing, but in a highly focused, distilled format, which might appear counter to the size of the group. Nevertheless, there’s something clarifying about Sorey’s art that really clicks on a recording of this length. Of course, Sorey himself is just one element of this album’s brilliance. The entire group delivers some incredible playing. Haynes, reunited with Morris, who played on the masterful Pomegranate, pairs expertly with Gerstein, who has recorded with Sorey for over a decade. The two primary horn players perform several stunning push-pull-push improvisations. These burning passages are balanced by long stretches of where one or all members of the supporting bass quartet—Morris, Testa, Helias, and Rowden—take center stage. Take the first several minutes of “Pillars II,” with its darting, aching bass lines bouncing rapidly off each other, almost Xenakis-like. And just to capture another key moment, late in “Pillars III” is a sparse, abstract Neufeld solo that harkens back to some of the excellent albums he and Sorey have recorded. In the liner notes to his guitar trio album Koan, Sorey talked about the different ways we perceive time and sound. I was reminded, as I often am, of Masahiko Togashi, whose album Speed and Space names the other two axes upon which one could chart Sorey’s four-dimensional work. Like Sorey, Togashi also seemed to perform in multiple dimensions at once, using silence as a powerful compositional element. His late ‘70s albums, like Voice From Yonder and Story of Wind Behind Left were a couple of albums brought to mind by this octet’s excellent performance. There’s also an unmistakable connection with Bill Dixon—through label, design, and scope, Pillars is a recognizable cousin to Tapestries for Small Orchestra, but I was also reminded of Dixon’s Considerations 1 and 2. Like Dixon, Sorey’s work always feels incredibly personal, whether he is the one playing at that moment or not. And here that’s partly due to his conducting, which has grown into a wholly unique expression of Sorey’s ideas. You can hear this on Matt Mitchell’s A Pouting Grimace, and especially towards the end of “Pillars I” and the middle of “Pillars II” come sections defined more by overall movement that seem defined by Sorey’s conduction. Okay, yes, the album is massive, thick and heady, with ideas atomically colliding. But it’s also music to simply listen to, which is one aspect of Pillars that shouldn’t be ignored. You can dive headlong or simply dip in and out of the album, let the music filter in from wherever it’s playing, leave the room and come back at a wildly new section. Much like Max Richter’s similarly beautiful Sleep, perhaps you’ll never listen to the whole album straight through. But it’s not enough just to know it’s there when you need it, you have to start by letting it in. Hi Lee, thanks for this great review of an incredibly good album. No doubt it will figure on my end-of-year list. Sorey really captures the essence of modern music : open-structured, intelligent, great interplay, deep and wonderfully captivating. I can only recommend this to anyone with open ears. A hell of an album. Top 5 of the year for sure! A must for all intp modern music. 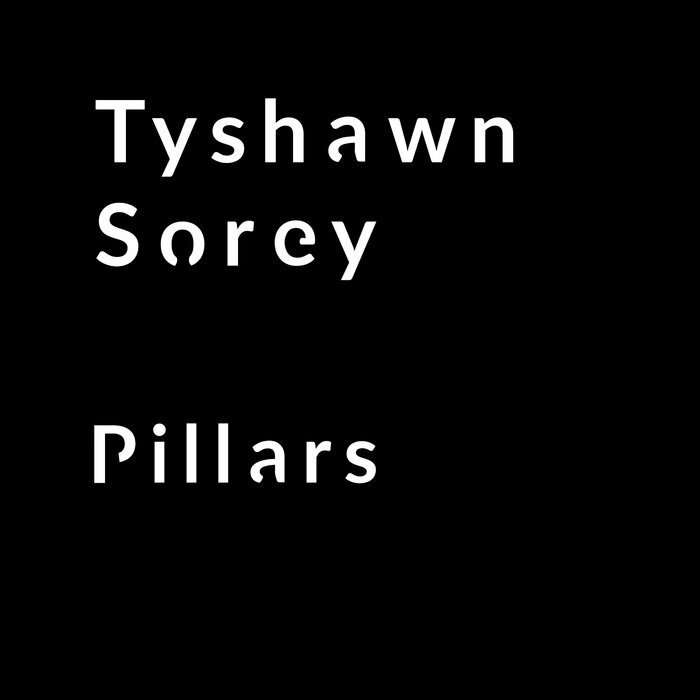 Tyshawn Sorey is a incredible musician.